My word of the year this year is PEACE. I started off strong, as I usually do, but by the time I was in rehearsals for the opera I performed in earlier this year, I lost my focus. I don't love to admit just how much I lost my focus, either. But that is the truth. I tried hard to relax this summer and not let myself get over-anxious about things that truly don't matter in the end. I believe I was mostly successful with this, but the fact is, clutter has begun to take over my life. While physical clutter (oh man, you should see my office right now!) is a big part of this clutter, it's also mental and spiritual clutter. Schedule clutter, even. All of it causes me deep anxiety and makes it really hard to find the peace I so deeply long to have in my life. Whether it's my messy desk full of the papers that multiply while I'm not looking and which have no other home, my email inbox full of emails that I have not yet dealt with, or my brain reminding me of all the things I have on my to-do list and not allowing me to sleep, I am finished with the clutter. I want it out of my life! While I have places for many things, I don't have a place for EVERY thing. And the many things that do have places? Well, I'd say a large percentage of them are not often actually in their place. I have nobody to blame but myself. While my family is the source of much of the clutter, I simply have not taught them well enough, nor have I enforced many rules about keeping them at bay. So this month is going to be about changing that. Or at least beginning to change it. 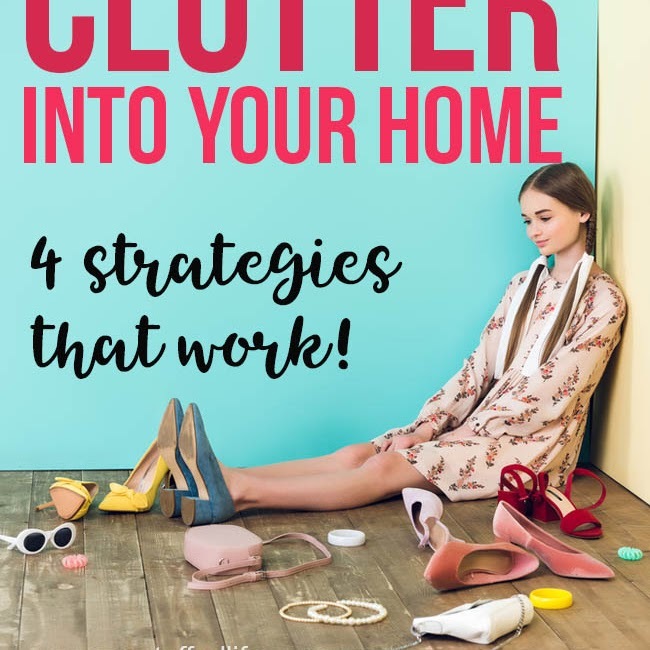 I will be focusing on the hows and whys, along with finding practical ways to eliminate some of the worst clutter in my home and in the rest of my life. Each day will feature a new post, which will be linked up on this page. I do hope you'll join me, and that you will not hesitate to add your own thoughts and experiences to the challenge. 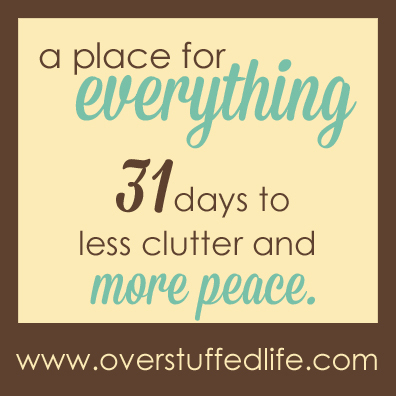 I am excited (and a little bit scared) to tackle this challenge, but I will not let clutter steal away my peace! Day 3: Get Rid of It! Day 11: Take Control of Your Make-up! Day 15: Stop Saving Magazines! Follow my Organization board on Pinterest! I'm looking forward to reading! I have my very own clutter issues that I need to deal with too. Looking forward to following this series Lara! No matter how diligent we are, I think things just have a way of cluttering our lives. It's important to pause and figure out the hows and whys and make positive changes. It's going to be a great month! This is going to be great. I am already decluttering now. Its a must in every home. Laurie Reeve says: "When we have clutter, it screams at us, distracts us from living the life we were mean't to live." Good point. 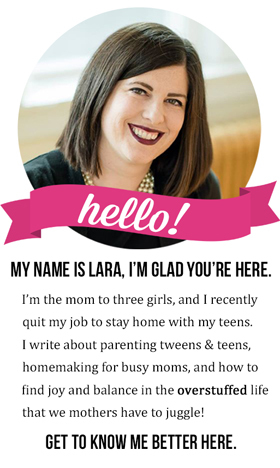 Lara, love this topic...October seems to always be my declutter month so your series is perfect timing ;) Can't wait to come back for more! I need to declutter as well! Can't really commit to it completely this month, but I will be limping along trying at least!! We certainly all do. I am happy you'll be following along! Thanks, Hilda! That's exactly why I'm doing this. I love decluttering, but it's so important to get to the root of the problem! It sure is! If you're not right on top of it, it will be right on top of YOU! Something about the fall really makes me want to get rid of it all! I don't know why. :) Thanks for following along! Moving is the BEST time to declutter. Glad you're here....wish I could come help you pack, and maybe meet those adorable girlies of yours. Limping along is so much better than not doing anything! This is excellent! 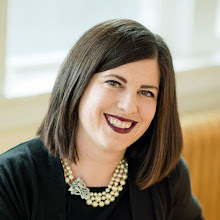 LOVE this post and the entire challenge!